Do you have a question for "Hey Eddie"? If so, fill out the form below! Want Eddie to contact you? Leave Phone number. We do not sell, trade, or give away any customer information supplied to this site. By submitting your question, you give Progressive Auto Works, Hey Eddie and any of it's affiliates permission to use the question in any manner (print, advertising, etc.) they deem appropriate. Further permission is given to use the first names and geographic locations of all questions used in the same manner as mentioned above. Never will we give out email addresses or phone numbers. Do you have any gas mileage tips you could pass on? We all know getting the best gas mileage helps our wallets. One of the first steps would be to remove unnecessary items from your car. An extra 100 pounds can reduce the mpg by up to 2%, depending on the vehicle. Keeping tires properly inflated can improve gas mileage by about 3%. This also helps with tire safety and longevity. Don’t overlook air filters. A clean filter can boost gas mileage by 10%. To stay ahead of a dirty filter have it looked at during your 3,000 mile maintenance service. Also remember regularly scheduled maintenance services like tune-ups keep your car running at peak performance. Visit www.fueleconomy.gov for more gas saving tips. I recently had my car aligned but when I got the car back at 65mph I still had the vibration. Was the alignment done right? 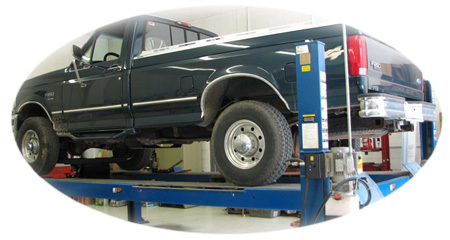 Contrary to popular belief, a front end alignment will not solve a vibration problem. An alignment problem will cause tire wear that may lead to an a tire being out of balance. It is this out of balance tire that is probably causing your vibration. A good front end alignment tech will check the air pressure in the tires as well as inspecting the front end for loose or bent parts when he performs the alignment. Because you just had an alignment we will assume this was done. Therefore, I believe balancing your tires will probably cure your vibration problem. I turned the key on my 2001 dodge Durango the other day and it made a whirling/whizzing sound. This was before the car actually started. What could cause this? I am assuming you are hearing the noise when you turn the key to the on position but before the crank position. If this is the case the noise you probably heard was the electric fuel pump which is located in the gas tank. It is always best to keep your tank above 1/4 full to ensure this pump (remember, it is located in your gas tank) is completed surrounded by fuel which in turn helps it to stay cool and last longer. It is also important to change the fuel filter every 30,000 miles. Theses two things will greatly increase the life of the fuel pump. Now as for your fuel pump - sometimes a fuel pump will get progressively more noisy when it’s beginning to fail; could be a tell-tale sign. Keep your ear on it. When putting air into my tires, do I put the max psi as stated on the tire, or do I put the psi stated in my owner's manual? You should always go with what is written on the tire. I want to get better gas mileage, are hybrid cars really all that great? Hybrid cars get a lot of press attention. The truth of the matter is, it all depends on your driving schedule. If you do most of your driving at highway speeds, then a hybrid car may not be right for you. Our service center is available to individuals as well as fleet accounts.